It's that magical time of year again! 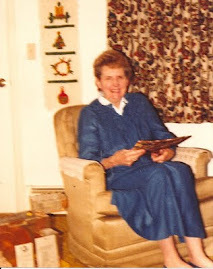 Today, we're gonna post a memory told by Grammy a few years ago, and then follow it with a cheesecake recipe. As it says on the side, "Excellent"! "The 4th of July was always a big day for the Burkey family. They were all farmers and they all had farms around the same area. Everybody would meet at the Hensroth’s and there they had a big long picnic table spread out on the lawn. Everybody would sit down and eat a big meal. Everybody who came brought a dish. All those farm women were very good cooks. We all sat went together and ate – and there were probably about sixty to seventy-five people at each picnic. And that was the 4th of July, a nice time of year. I always liked those picnics." -Cream the cream cheese and ricotta. -Add eggs, sugar vanilla, and lemon juice, then blend in corn starch, flour, butter and sour cream. -Bake at 325 degrees for 1 hr and 15 min, until the cake is light in color. -Shut off oven, and leave cake inside for 1 more hour. -Allow to cool for an additional hour outside the oven. -Remove from spring pan and serve.